List off some of the most naturally beautiful locations in the world and chances are Western Canada is going to be on there. From Vancouver with its laid-back coastal vibe, encased by the snow-capped North Shore Mountains, to the emerald green lakes of Alberta further east, it’s hard to catch a breath with such magnificent views on offer all the time. And it's for that reason that the Rocky Mountaineer train offers an incomparable experience, of which I was lucky enough to indulge in this May. So hail down your friendly host, order a Caesar (I’ll explain shortly!) and recline your seat onboard one of the most sought-after rail routes in the world; here we’ll run through the reasons why Rocky Mountaineer is so much more than your average train journey. While onboard this unique locomotive – one of the best ways to see Western Canada – you’d be mad to pass up the opportunity to accompany your journey with a unique drink in your hand too. I’m not a huge fan of a Bloody Mary – tomato juice just doesn’t sit well with me. A Caesars however, differs on one very important ingredient: clamato juice. Tomato juice lightened with clam broth doesn’t sound like something I’d typically bite your hand off for but, after being convinced by the friendly train hosts to try it, I thought why not? And I’m glad I did. 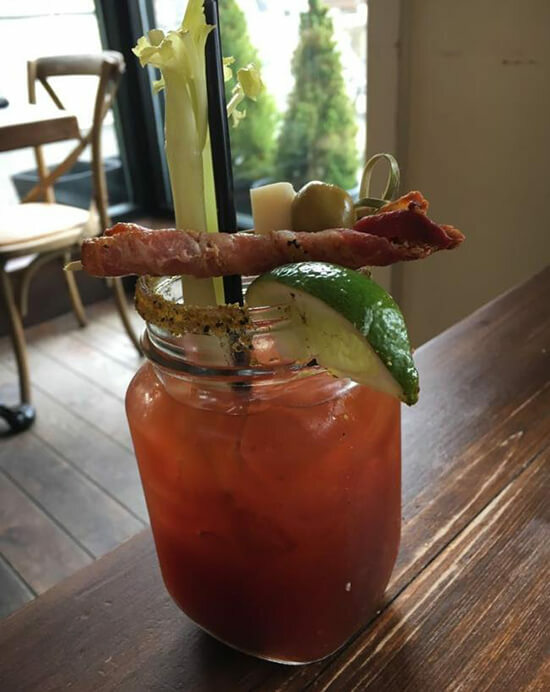 A light and fresher version of the Bloody Mary, brilliantly finished off with a glaze of celery salt, the Caesar is a great example of the food and drink on offer, all from the comfort of your own seat. It's a genuine example of the little things that can complete a Canadian experience. It’s easy to get wrapped up in the intense scenery on offer as the train meanders through the Rockies; lush green blankets of trees give way to towering mountain faces, all discreetly hiding the local residents: bear, elk and moose. So I’d be lying if I said that jumping out of my reclined seat, almost spilling my morning coffee over my unfortunate neighbour, to the screams of ‘BEAR BEAR BEAR’ from Cherry (our friendly onboard host), wasn’t a highlight. But what really took the trip to the next level were the views once my feet were firmly planted on Canadian soil. 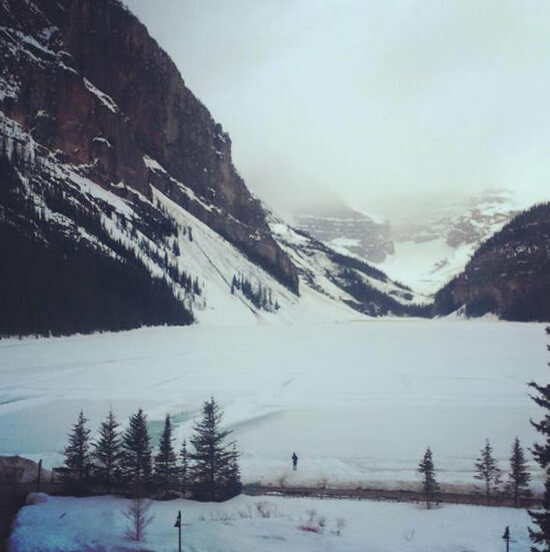 Stopping off for a cheese fondue, chateaubriand steak and an early night in the Fairmont Chateau Lake Louise, we awoke the next morning to the sight of the magnificent Lake Louise itself, still completely frozen over from the long winter. A brisk walk in the snow around the perimeter is a great way to start the day in this beautiful part of Alberta. 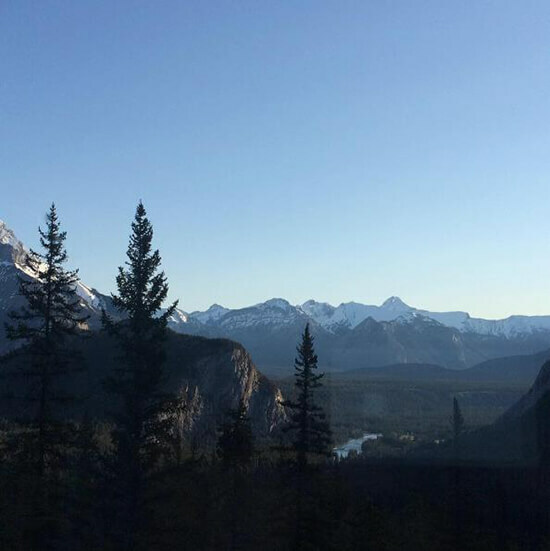 After completing our two-day journey onboard a Rocky Mountaineer train and taking in the sights of Lake Louise, I wondered what else Canada could offer to top what I’d already seen... but I soon realised the best was yet to come. A short transfer from Lake Louise to the small ski town of Banff and you’re immediately aware of your elevation. Sitting pretty at 1,383m, Banff combines the relaxed mountain living of locals with the luxury of the many hotels that sit amongst the tree-lined peaks, providing a great choice for fortunate visitors. 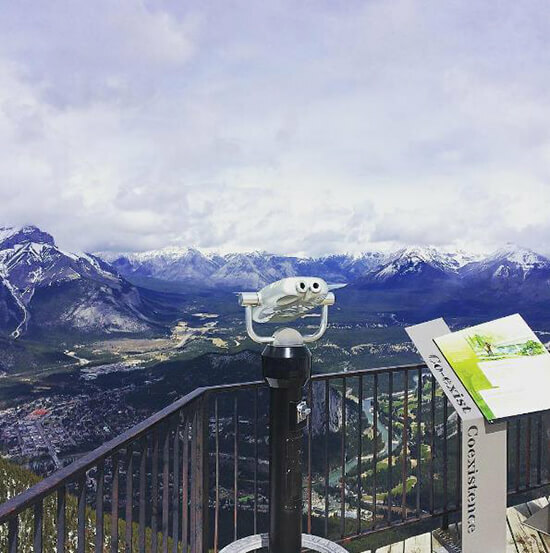 The obvious winner is the Banff Gondola. A brief but steep eight minutes takes you to the top of the world for 360-degree views of, well, anything as far as eye can see. The not so obvious you ask? Well, after talking to a local barman in the incredible Fairmont Banff Springs, I felt compelled to act upon his recommendation to follow the Bow River, over the bridge and up and around to ‘Surprise Corner’. The surprise? 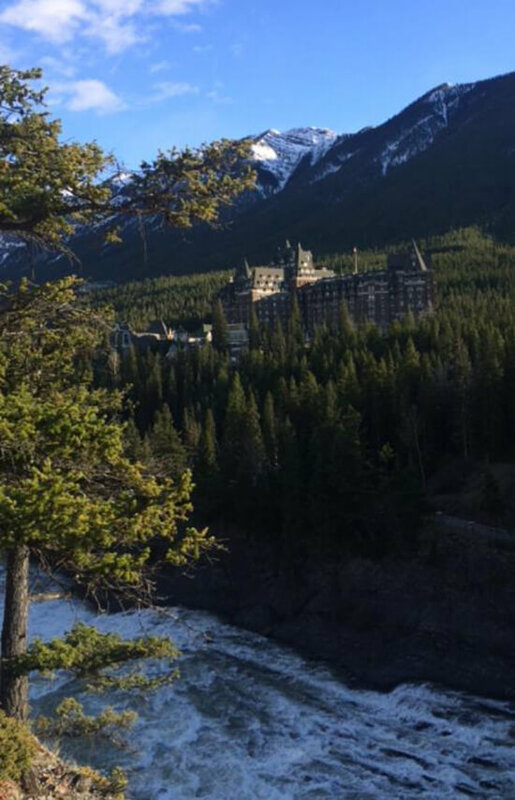 An amazing view of the Fairmont Banff Springs perfectly perched amongst the trees. Most definitely worth the effort and a not too taxing, but hugely rewarding, little walk. It just goes to show that there's so much to see and do as part of this epic train journey. Embark on our tailor-made Rocky Mountaineer holiday to discover the best of Western Canada. Make an appointment with a Travel Expert to find out more.